I would like to introduce myself, I feel it’s only fair. Only I know you so well now, you might get a scare. I know you know I’m in there, though I crept with greatest stealth: I am the hidden monster buried within yourself. Joyce is only sixteen when she’s torn from the life she loves. Two years pass, but Joyce, her family, and her best friend Logan, are no closer to learning what’s causing her dizzying array of symptoms. As Joyce tried to come to terms with her increasing limitations those around her struggle to understand what she is going through. Baffled and unsure, the doctors eventually diagnose Joyce with ME and CFS. But when Joyce and her family refuse to accept this diagnosis, her mental stability is called into question. Desperate for the truth and scared for Joyce’s life, their only hope lies in a private hospital where she is finally diagnosed with Lyme Disease. Can Joyce survive a treatment as brutal as her illness? Can she find her way in a world she no longer recognises? 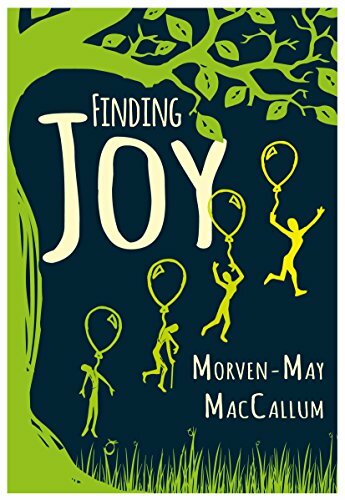 The author Morven-May MacCallum was diagnosed with Lyme disease herself when she was a teenager. This is a fictional story written by her with the intension of raising awareness of this terribly disease. This is such a heart breaking story of Joyce, a 16-year-old girl whose life has ground to a halt due to chronic illness and no-one can seem to determine what it is. Every day fatigue grinds her down, noise makes her head feel like it will explode and light is blinding. She is tested for different possibilities and all come back negative, to the point of being accused of it all being in her mind. Finally she is told it is CFS and ME but she knows herself that it isn’t. This is a story of never giving up and just accepting a fate, it is about the frustrations of how other people see you but don’t really hear what you are saying, even close friends and family. It is making people understand that if you have a good day you are not getting better it is just a small remission before it hits just as hard again. As time went on Joyce’s friends diminished, with the exception of one, Logan. Joyce, her Aunt Beth and friend Logan found support in each other, most of the time. Although the story begins with Joyce there are also view points from other people close to her. One of the most heart breaking for me was from her Aunt Beth, when she returned home from work one day. I won’t go into details but it is such a powerful scene all brought about by frustration, exhaustion and sheer just wanting to be normal. The author just captures these feelings perfectly. I knew little of the disease before reading this book, although I had heard of it. One thing that I didn’t know was how horrific the treatment for it is. It is so terrible that many patients can not stand it and suffer the disease rather than continue with the ‘cure’. This book is extremely informative, it explains how the disease is caught, the symptoms and the treatment in detail but because it is made into ‘Joyce’s’ story it becomes personal and it gives greater understanding to how it affects a real life. I really wish the author tremendous success in spreading the word to a larger audience about this condition. I wish to thank the author for a copy of this book which I have truthfully reviewed. Morven-May MacCallum is from the beautiful Highlands of Scotland. 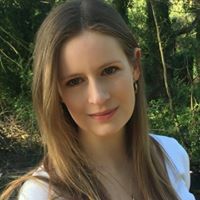 In 2009 she was preparing for a new adventure, in a new city, when she was (rather against her will) enrolled in the university of life where she perfected the skill of being chronically ill with Lyme disease. Although graduation (AKA recovery) is like trying to find the end of a rainbow, she has decided to share what a life with Lyme is really like through her characters Joyce, Aunt Beth and Logan. Morven-May is passionate about creative writing and is eager to help raise awareness about Lyme disease. She is available to do talks, interviews and book signings at schools, festivals, universities etc. I’ve also been seriously ill with Lyme disease for a number of years now and am currently undergoing high dose antibiotic treatment. The disease is ridiculously common and extremely unpleasant, and the cure makes you even sicker for a long time! Thanks so much for reviewing this book and helping to spread awareness because even most doctors are not aware of how common and how serious it is. Thanks! And while I knew it was epidemic here on the east coast of the US, I only found out recently that it is in the U.K. as well, so I am warning all my British friends to watch out for it! Thank you, really hope to read more about them all again soon.